Guaranteed clean air at homes and buildings. Magneto Cleantech invents and popularizes technologies to tackle the problem of poor indoor air quality in developing nations. We focus on making clean air accessible to everyone, whether in homes, offices or buildings. By pushing the limits of engineering, we're able to build the highest quality of products that exhibit extraordinary performance. We take the route of driving innovation through strong research fundamentals, while ensuring that our products adhere to rigorous standards of safety, compliance and quality. A new way to centrally purify the air. We have successfully commercialized a proprietary way of purifying the indoor air that is fundamentally superior to current methods – a central air cleaning based system for large spaces that integrates with new or existing air conditioning equipment. We have built a diverse range of air purification products based on this patent pending technology for dust (PM 2.5) and infection control, which is receiving an overwhelmingly positive response from our users. Magneto Central Air Cleaner is one such manifestation of unparalleled air purification performance. This certified healthy air system has been meticulously engineered to protect people and their assets. It centrally removes dust and kills airborne microbial in the indoor air with remarkable efficiency and absolute discretion. It challenges the status quo of intrusive, noisy air purifiers. It has even air purification, low capital costs and no recurring consumables. This advanced multi-stage integrates with the HVAC system to eliminate PM 2.5, bacteria and other pollutants from the entire area. It can regulate CO2 requirements without compromising on the fresh air needs of the occupants. Each day, 9 in 10 people breathe highly polluted air, and more than 80 percent of urban dwellers have to endure outdoor pollution that exceeds health safety standards, according to the World Health Organization. 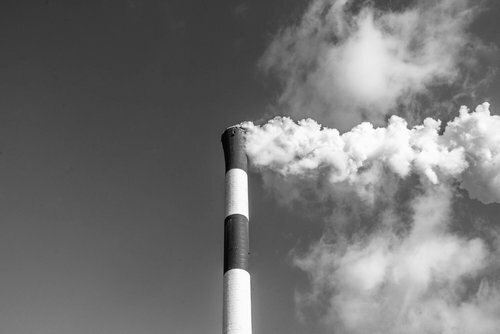 Air pollution in developing countries is a daunting problem. In a recent report by the WHO, 11 out of the 12 most polluted cities in the world were in India. In 2015, about 75 percent of deaths in India were linked to air pollution, some 1.1 million people. We attempt to change this. Our solutions provide clean air to the indoor occupants even in the most harsh outdoor conditions. We protect people and their assets from the severe effects of PM2.5 and airborne infections, keeping them safe, secure and productive at all times. Our work has a massive social and sustainability impact. WE FOCUS on HEALTH, SAFETY and SAVINGS. Within 2017, we improved the health of 4534 people, ensured that 3,67,727 sq. ft. of area would be safe at all times, and saved the planet from the emission of 619 metric tonnes of CO2. Magneto Cleantech is a core member of the Magneto Group of companies. Since its birth in 1980, Magneto Group has focused on enhancing human health and comfort by providing heating, ventilation and air conditioning related products and services. Starting in early 2013, we recognized the growing need for improved air quality in India and began investing in the research and development of IAQ solutions. Since then, we have introduced a diverse range of solutions in the Indian market in collaboration with several international core-technology providers, through Magneto Cleantech. Recently, we have seen tremendous growth in this segment and air quality is now at the center-stage of our business.